The actor reflects on his leading role in Kit Monkman’s Macbeth with Angelique Jones. 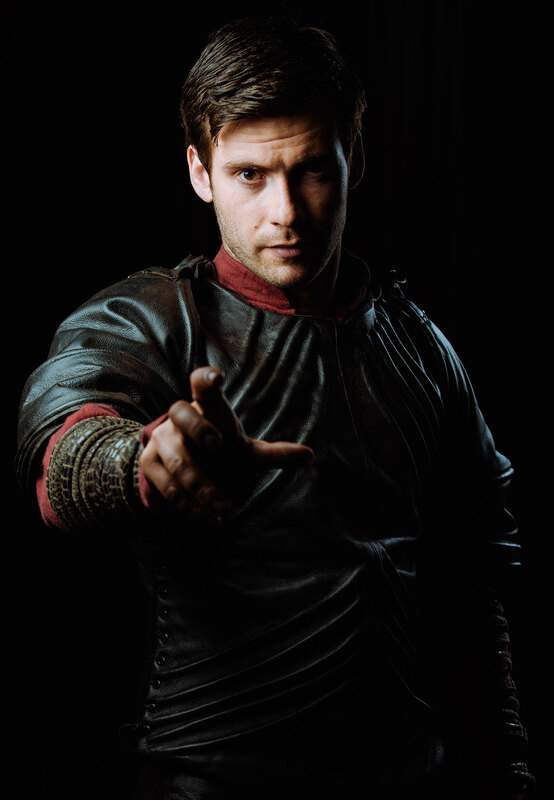 Mark Rowley is the youngest actor to have donned the crown of Macbeth. He “is supposed to be violent and a champion among men,” so “I feel as if he should be relatively young” says Rowley, as he explores how being young offers a fresh and faithful expression of the character typically performed by an older actor. Macbeth is a character who represents a very human notion of susceptibility to power, and who loses himself in the expectation of something better. This, of course, doesn’t live up to the reality, and not simply because of the violent acts he commits. Shakespeare provides an interesting exploration of the damaging psychological and physical consequences of being blinded by power, ambition, jealousy and one’s own bubbling anger. 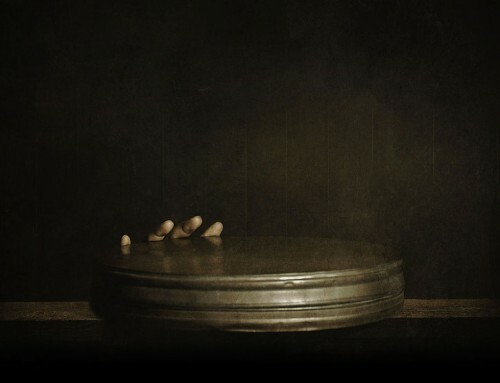 Through a window into the interiority of the characters, we see just how fragile the human experience truly is. So why wouldn’t you have a younger Macbeth? Starting out at the peak of his health, career and in a loving relationship, he is also simultaneously more vulnerable and influenceable. It’s then all the more effective when he falls and is stripped both physically and emotionally. We are left with an empty shell of a man; paranoid and anesthetized beyond recognition, but with a sad self-awareness that will resonate profoundly with modern day audiences. In an age where social media pushes us to seek something other than our given reality, and where incessant information over-saturates newsfeeds and minds, this tale of violence, corruption, and doubt is as relevant then as it is today. Kit Monkman’s decision to cast a younger Macbeth makes it crucially more relatable to wider audiences. As we know, Macbeth is an ambitious, complex and commanding role, not all 25-year-olds could take on such a part. Yet Rowley owns this role and captures Macbeth’s decline with a fierce passion, which perhaps only a younger man could do. We discuss the differences between working with green screen and on location as I catch him in the midst of filming The Last Kingdom in Budapest. 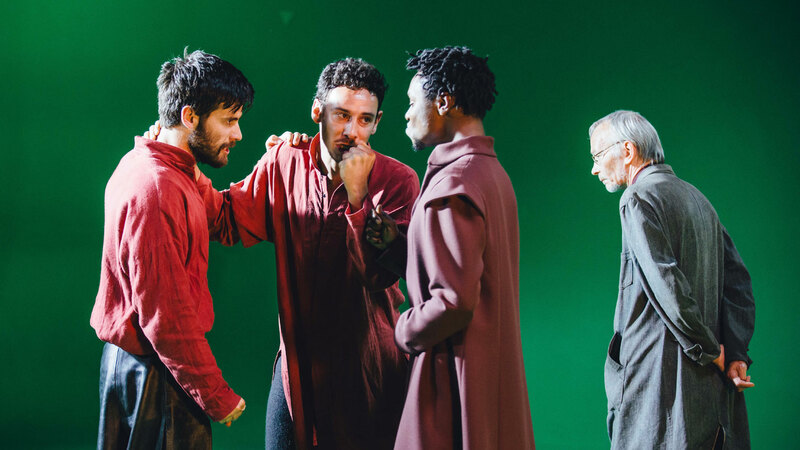 We go into how Monkman “pulled off” the “risk” that he took with this film, how the special effects enhance the “nightmare” that ensnares Macbeth, and how all the previous portrayals inspired Rowley’s understanding of his own decisions for the part. Angelique Jones: You’re currently filming the latest season of The Last Kingdom on location right now. Are you finding any similarities with working on Macbeth? Mark Rowley: I suppose the character I play in The Last Kingdom (Finan) is quite crazy as well to a certain degree […] I’d say they’re quite similar in terms of their violence, they’re not afraid to be violent, which is quite nice to explore. 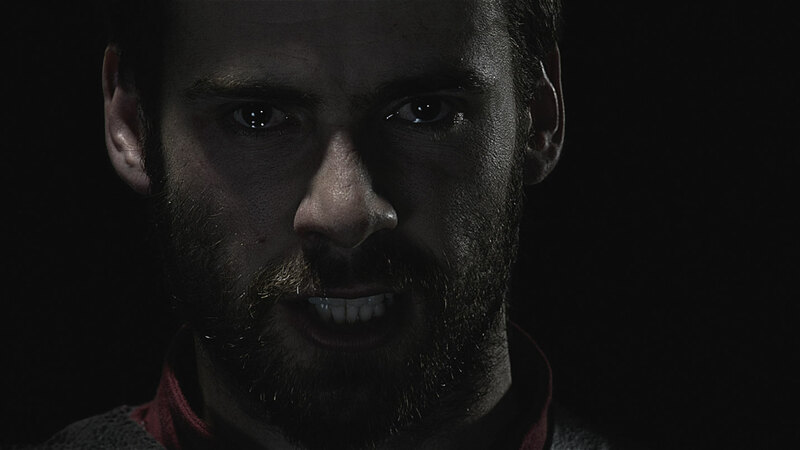 Finan is definitely not as paranoid as Macbeth though. 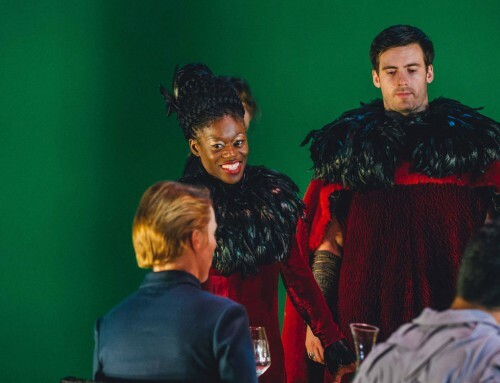 How does filming on location for The Last Kingdom differ to filming entirely in a green screen studio with Macbeth? It all comes completely natural now [on location.] The good thing [with green screen] is that because you’re not changing location all the time there is so much time and effort for the crew […] so actually you can get a lot more work done. I would say the benefit of working on green screen, [is that] you can almost trick your mind […] it’s almost like a rehearsal room, as if you’re doing a theatre piece […] The beautiful thing about our production was that it was a mixture between theatre and film, which is interesting because some people love that and I think for some people it was just a bit too much for them. Some people are just not used to this new way of experiencing film. Totally. From the get go, Kit said it was going to be risk. It’s interesting because you get some people saying, oh my god it’s a moving art piece because it’s got that kind of “is it surreal not real” quality going on because they did such a good job of building up the world, so it looks real. But then there’s always this little thing in your head saying no it’s too slick, it’s too colourful. But actually, that’s good because in Macbeth’s head I suppose that’s what’s going on [he’s unsure] what is real and what’s not real? He’s stuck in a nightmare. You’re a real Scotsman and you’re playing one of the most iconic characters in literary history and one of Shakespeare’s most famous parts. What does that mean for you? I did feel like I had to do it a lot of justice in the psychological aspect […] I really needed to jump into that, and I knew that […] thinking about that idea of what would make you kill someone. I think you have to delve right into yourself and I was surprised I managed to find that. I think a lot of people have that, as humans. At the end of the day we are animals. My sister has young kids and I feel this protectiveness over them, as if I would do anything and everything for them. I think when you delve into that feeling and emotion, then you would do anything and everything to protect them. And actually, using that same emotion and feeling and transposing that into Lady Macbeth, I was quite surprised how powerful [it was], I was surprised at where I could go with the part. It’s quite scary, but we all have that […] I think that’s instilled in us. So that was probably the biggest thing for me. I don’t think I could have done it for a lot longer though because it’s quite intense. You can take the character with you, can’t you? Totally. I think it’s as I said before, you find things out about yourself and some things are really good and some things are maybe not so good. I think as an actor you need to take that risk and find the humanity of the part that’s right for you… to try and bridge that gap between you and the character. You had an intensity and a rawness that enabled us to connect with the character’s vulnerability. You’re also young, Macbeth is typically donned by middle aged men, and it’s a role that seems to have a lot of responsibility. How do you feel about this? Do you think your youth has brought something fresh to the role? I was quite young when I got this part, I was 24, and I ended up doing it when I was 25, so actually, I think I’m the youngest Macbeth. It’s interesting because I feel as if he should be relatively young, as there’s so many older actors out there who go into it and actually, one of the things about Macbeth is that he is supposed to be violent and a champion among men to a certain degree. It was interesting to do it from the point of view where you have someone who is quite young, and to be manipulated by Lady Macbeth, and then working with that manipulation […] it was just nice to spin something on its head and play around with someone who is young…we all know what it’s like, especially with young guys when they find love, especially first love; it’s a really strong passionate feeling. And I felt as if that was almost the same for Macbeth and Lady Macbeth in our film. Did you find previous portrayals of Macbeth useful or a hindrance? I watched so, so much. I really like Anthony Sher’s version, and Patrick Stewart’s. There were some versions I’ve seen in different languages and I think it’s important, because a lot of people don’t like to be influenced by other actors, and I totally get that. But sometimes you can watch another person’s work and think oh my god, that’s really interesting how they found that. Or, actually it’s interesting how they completely went the other way with it and it didn’t work. It’s about watching other people and not trying to fall into the same repetitive form or the pitfalls of the part […] What actors do you believe and what actors do you not believe and why? I think what I wanted to show was the optimism at the start of the play. There were a few productions I’ve seen where they start off where […] Macbeth starts off down and flawed but actually at the start he should be more optimistic. If war comes coolly, it’s got to start somewhere like “wow my life is amazing, I’m getting better opportunities to become king, ok am I going to take that step? Hell yeah, let’s just go for it!” And then it begins to go into a downward spiral. I suppose it’s the classic gangster film really isn’t it? A lot of gangster films start really high and they have everything they want in life, and then they go way too far and everyone’s after them. They become a tyrant so quickly, everyone turns against them and they become paranoid and I suppose it’s a downward spiral from there. Macbeth is relatable in real life, I think that’s why people like it. It’s fast moving, it doesn’t linger. It quickly moves along, it gets going and suddenly everyone is seeing red! 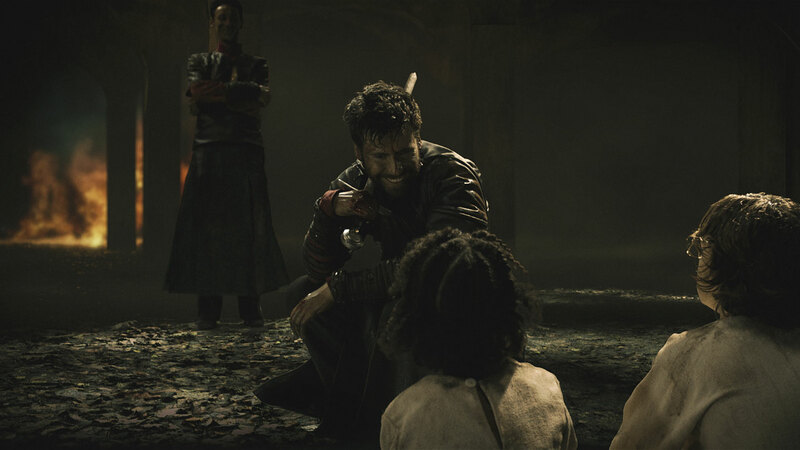 What would you say about the relevance of Macbeth in 21st Century? There are people who are like that in our society. I don’t think he’s a bad guy, I think he was just manipulated and you get lots of young men like that […] when they’ve been corrupted by others. Once you’ve done something horrific like murder, you never really get back to that sense of who you are because you’ve changed. Your morality has completely changed. 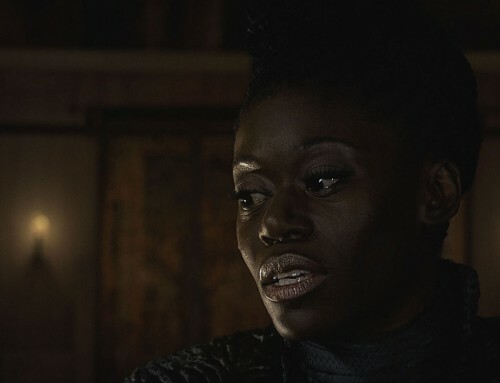 Akiya Henry said she always wanted to play the role of Lady Macbeth. Did you see yourself playing Macbeth? Definitely. Maybe not as early, but I was like great, I get to do this already! I suppose as an actor I love that because it gives an idea of where I can go at an early age. Or, how deep you can delve into the part. It’s interesting to know how you’d cope with it. But 100% I’d go back to it, 100%. I think there’s more to discover with the part […] There’s some actors who do a part all over again and I can totally see why, there’s so many ways to play it. It’s fun as well. Macbeth is such a thinker, he’s a thinker all the time, and his speeches are beautiful […] they are very complex, and so the imagery is really powerful. How did you end up with the part of Macbeth? I got an audition through my agent, but I think it was almost by mistake because I think they were looking for an older guy, and then I turned up and I think I was just very much different to what they were expecting. It was a kind of spanner in the works situation… they told me that after I got the part. 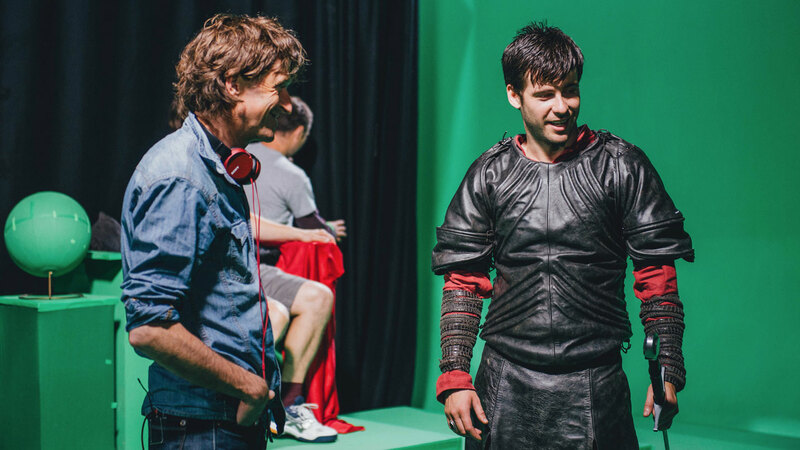 What was it like to work with Kit Monkman as a director? Really good! Everyone brings their own energy. As Kit’s so laid back […] it gives you a greater freedom. You’re not under constant scrutiny. Kit was really relaxed, he’s a really easy-going guy. We kind of just found what we were doing together, like it was just an idea and we were working it out in the room, which was quite nice. As I said he’s really laid back and really giving, he gives and gives. Do you see yourself working with Kit again? Hopefully. I think the company is getting bigger and bigger and it’s becoming more ambitious. Especially with that studio, it’s so beautiful around there so hopefully more companies go there and start filming around there – it’s so pretty, especially in summer time. Macbeth was really fun, and the cast were a good laugh and the crew were so fun. They had house residency, so a lot of the crew stayed in the studio and so quite early on I thought yeah this is going to be fun! I changed my location where I was living to where the guys were… There was a real community spirit you know. It was beautiful. What excites you most about this film? I think it’s really relatable for a wide audience. Especially with school kids, it has that clarity to it that maybe other productions don’t have. We don’t stray away from the text […] so it gives a really good narrative. The good thing is that it doesn’t cut like a normal film; scenes merge into each other so you have a constant flow which you have in theatre […] that’s why it would be brilliant for people studying. I think anyone would get something out of it, for sure. Some of my friends really, really enjoyed it, and it makes people talk afterwards which is important […] it’s sparked off conversations and that’s the main thing, that’s so important to get people talking about it. Talking about the text and what they felt, and everyone came away with an appreciation of the words and the imagery of what was on screen. Kit really did paint a picture for everyone, which is really hard to do. And I think he pulled it off.